Many Americans have grasped the warning on excessive sugar intake. The problem is, these sugary calories often creep into the average American’s diet through drink, not food. Sugary drinks have already been tied to an increased risk of Type 2 diabetes as well as weight gain.­1 But just this month, a study published by the British Medical Journal has now found that sweetened beverages can also be associated with increase heart failure.2 Life with heart failure is nothing to take lightly, that’s why this gives the nation all the more reason to twist the cap shut on sweetened beverages and to choose healthier habits. Increased prevalence of heart failure and other heart complications. As mentioned above, the recent study found a correlation between frequent consumption of sugary drinks and heart failure.2 These drinks include any beverage sweetened by sugar including soda, fruit juice/punch, lemonade, powdered drinks, or energy drinks.2 The study was a 12-year long population based study on 42,000 men ages 45-79. Researchers tracked incidents of heart failure between 1998 through 2010. Using food-frequency questionnaires, they found that men who drink two or more drinks a day were 23% more likely to develop heart failure. 2 Men who did not consume such beverages did not experience as many incidents of heart failure.2 Though the study has its limitations, such as survey bias and outside variables affecting study subjects, there are other literature that support the declining heart health of sugary-drink consumers. So what is heart failure and heart disease? Heart failure is essentially when the heart is too exhausted or damaged to pump blood and oxygen to the rest of the body.5 Those that suffer from heart failure live a very difficult and limited life.5 Daily tasks become a struggle due to shortness of breath.5 This can further result in a sedentary lifestyle which is associated with its own health problems.5 Illnesses that can lead to heart failure are coronary heart disease as well as diabetes.5 The issue with excess sugar is that the build-up of the glucose metabolite in the body and frequent insulin spikes can cause significant damage and stress to the heart, leading to heart failure and heart disease.5 According to the Center of Disease Control, there are already 5 million Americans suffering from heart failure and more and more each year are adopting habits that put them at risk. 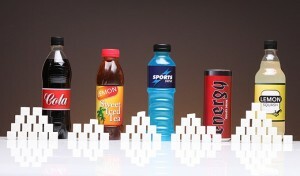 Sugary drinks overload your diet with sugar. A statement made by the American Heart Association recommended that the average adult should not consume more than 5 to 9 teaspoons of sugar. 7 However, the average 20-ounce bottle of a sugary drink contains 16 teaspoons of sugar.8 That almost TRIPLES the amount of sugar a person should consume in one day. With individuals having two or more of these drinks a day, it’s no wonder it is having a detrimental impact on Americans’ health. What is the take home message? Those that regularly consume sugary drinks should set goals and limit their consumption.9 Though this is not the answer to all heart-related problems; it is definitely a start. There is plenty of research that supports this recommendation not only when it comes to heart failure but also diabetes and obesity. However, the question remains: Is this enough to get Americans to put down that can? Malik VS, Schulze MB, Hu FB. Intake of sugar-sweetened beverages and weight gain: a systematic review. Am J Clin Nutr. 2006;84:274–288. De koning L, Malik VS, Kellogg MD, Rimm EB, Willett WC, Hu FB. Sweetened beverage consumption, incident coronary heart disease, and biomarkers of risk in men. Circulation. 2012;125(14):1735-41, S1. nih.gov. What Is Heart Failure? – NHLBI, NIH. 2015. Available at: http://www.nhlbi.nih.gov/health/health-topics/topics/hf. Accessed November 11, 2015.
en S, Kundu B, Wu H et al. Glucose Regulation of Load-Induced mTOR Signaling and ER Stress in Mammalian Heart. Journal of the American Heart Association. 2013;2(3):e004796-e004796. doi:10.1161/jaha.113.004796. Johnson RK, Appel LJ, Brands M, et al. Dietary sugars intake and cardiovascular health: a scientific statement from the American Heart Association.Circulation. 2009;120(11):1011-1020. Wang YC, Coxson P, Shen YM, Goldman L, Bibbins-Domingo K. A penny-per-ounce tax on sugar-sweetened beverages would cut health and cost burdens of diabetes.Health Aff (Millwood). 2012;31(1):199-207. Sandee LaMotte C. Study links sweetened soda and heart failure – CNN.com. CNN. 2015. Available at: http://www.cnn.com/2015/11/03/health/soda-heart-failure-study/. Accessed November 11, 2015. Sugary Drinks. ; 2014. Available at: http://www.rethinksugarydrink.org.au/go-free. Accessed November 11, 2015. CHF. ; 2015. 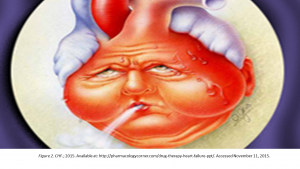 Available at: http://pharmacologycorner.com/drug-therapy-heart-failure-ppt/. Accessed November 11, 2015. Creative Commons. Vending Machine. ; 2015. 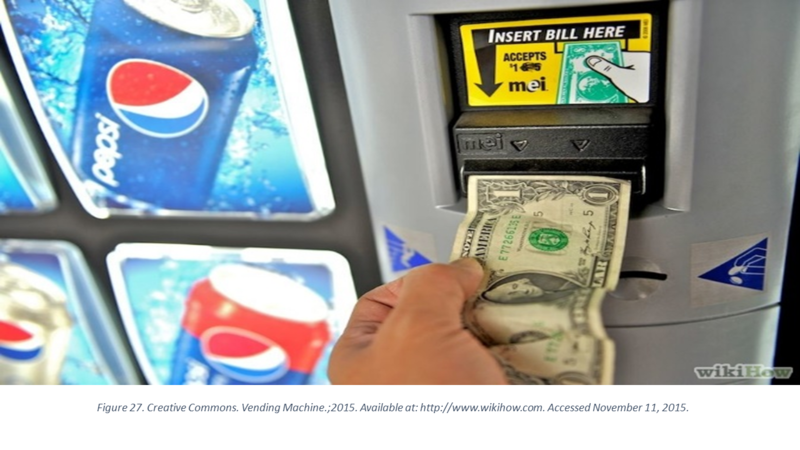 Available at: http://www.wikihow.com/Buy-Something-from-a-Vending-Machine-That-Demands-Exact-Change-when-All-You-Have-Is-Bills#/Image:Vending-Step-2.jpg. Accessed November 11, 2015.